Here's a few selected international press mentions of Wakefy. Wakefy also appears listed on Product Hunt [5/5 â­�], MacUpdate [5/5 â­�], Softpedia [4/5 â­�], the Electron Apps collecion, BetaPage and 01net [5/5 â­�], among others. Feel free to copy and paste the paragraphs below. Wakefy is available as a free app for devices running macOS 10.12 or later. If I were to show Wakefy in a event or in a video, I would launch it, select a Spotify playlist, set an alarm (making sure itâ€™s active for the current day of the week), then put the Mac to sleep and watch as it automatically turns on and starts playing your tunes. The fact that itâ€™s linked with the Spotify API. Any playlist, album or song from Spotify can be selected as the alarm ringtone, meaning anyone can set the tunes they want to wake up to, and therefore the mood they want to wake up in. As an example, I always use the playlist â€œBrekkie Timeâ€�, a great acoustic chill-out playlist specifically curated for breakfast time; whereas some other users prefer more energising, rock/electronic playlists. The fact that itâ€™s your Mac and not your smartphone forces you to actually stand up and walk to turn off the alarm. Most of us usually sleep near our smartphones and our Mac is not typically within armâ€™s reach. The fact that itâ€™s your Mac also can save from situations where you ran out of battery on your phone or even left it at home (when travelling, for example). Itâ€™s also pretty nice when you fall asleep watching Netflix. The app simplicity and beautiful design. Itâ€™s a tiny, unobtrusive tool that lives in your menu bar and only pops up when you need it. Set it once, forget about it. The fact that itâ€™s completely free. No other free app lets you turn your Mac into an alarm clock, let alone to select Spotify music as the alarm ringtone. This makes Wakefy specially useful for students. The fact that the app is fully designed and developed by one single indie developer who truly cares about the problem Wakefy addresses. The personal story behind Wakefy is also powerful, as I (the founder) have a sleep disorder called DSPS that makes me a heavy sleeper in the morning and I was really struggling to wake up on time most days. I needed a way to force myself to get up while getting good morning vibes so I created Wakefy. There is further information about the Wakefy usage on the FAQ. 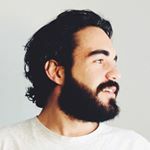 Javi Ramirez (@rameerez) is a 24yo indie serial maker from Madrid, Spain. He is a Computer Science + Business Administration graduate. He has studied at Rey Juan Carlos University (Madrid), University of ZÃ¼rich (Switzerland) and Harvard Extension School (Boston). He has worked as a freelancer in a number of projects involving Big Data, Artificial Intelligence, 3D printing and app development for web and smartphones â€“ for clients ranging from small and medium business to bigger companies and universities. He has been a cofounder of several international award-winning startups. Further information about him can be found in his Linkedin profile. Heâ€™s also been a TEDx speaker. Here you can find all his press appearances. Copyright Â© 2018 Wakefy. All rights reserved.